Crossbill distillery - Gin School. Of all the gin joints in all the world, I walk into one in rural Perthshire and discover a refreshing tonic to Scotland's tartan-toting whisky tourism. A teetotaller at heart, visiting a distillery has always been low on my list of Caledonian to-dos. So, when friends take me to the Persie gin distillery in the countryside about a 90-minute drive from Aberdeen, I'm not sure what to expect. It's not long before I am sniffing, tasting and quaffing with the best of them. The taste of gin is reputedly a combination of flavour and smell. Persie boasts three main "tastes": zesty citrus, herby and aromatic, and sweet and nutty. Asked to name the flavours of five gins in a blind test we don't score too badly, noting hints of lime, orange and cardamom. But olfactory accuracy isn't really the point. In Scotland, gin is the new whisky and it's all about the fun you can have trying the myriad of brands now on the market. The industry has ditched the stuffiness and heritage of whisky for the more youthful appeal of craft distilling and botanical flavours and garnishes that make every drink an Instagrammable event. We aren't in Glasgow long before we realise the place is awash with "Mother's Ruin". These days, it's de rigueur to order gin cocktails in the city's pubs (which include dedicated gin bar Gin 71), and you can spend an afternoon exploring the city on a vintage bus serving gin and cake. Distilleries are opening their doors to the public for tours, tastings and master classes; there is an official Scottish gin trail that tourists can follow around the country and an app – Ginventory – that allows you to search for the perfect combination of tonic, gin and garnish. 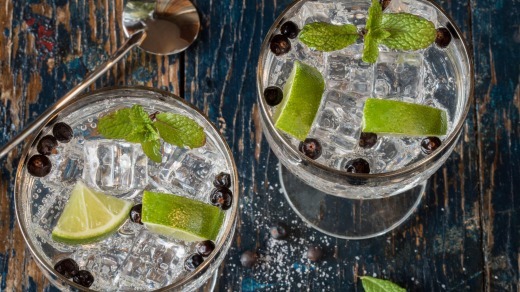 According to the Wine and Spirit Trade Association, gin sales in the UK have more than doubled in value in the past five years. 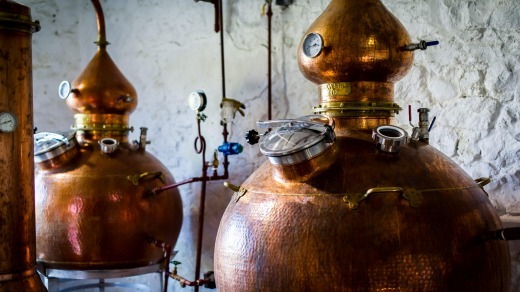 Growing consumer interest in the provenance of food and ingredients and a change in regulations governing the size of stills have combined to create the perfect market for boutique distilleries. At Persie, the tasting room is open all year round and founder Simon Fairclough, who ditched a career in marketing and communications to hand-craft gin, talks us through how he experiments with different botanicals, and shows off his very shiny German custom-made copper still. Our gin "experience" is easily combined with a visit to Her Majesty's Highland holiday home at Balmoral, not far away, and a peak at J.M. Barrie's birthplace in the pretty village of Kirriemuir. Back down in Glasgow, former architect Jonathan Engels runs three-hour gin "master" classes at his Crossbill distillery in the city's industrial chic heartland of Barras Market. At tables covered in fresh botanicals, wannabe gin makers sip a gin & tonic – naturally – and enjoy oysters and langoustines from a nearby seafood restaurant, while Jonathan talks about the distilling process. 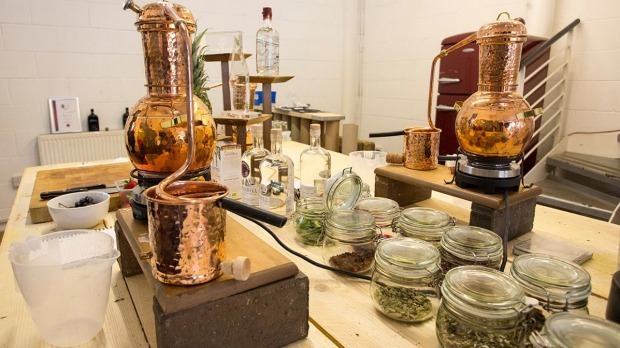 Everyone gets to create their own gin on miniature copper pot stills, bottle the bevy and design their own labels. The day we visit, Jonathan explains how he decided to start his own gin label a few years ago after he noticed other brands promoting themselves as "made in Scotland", although they were actually distilled south of the border. Not content to source his water and his rosehip flavouring from the Scottish Highlands, he decided to revive Scottish juniper harvesting (juniper is the primary botanical used in gin), which he has now done with the help of the Forestry Commission and PlantLife.org, a UK conservation charity working to save threatened plants. 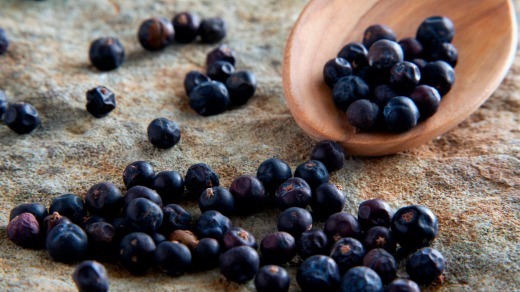 Crossbill claims to be the only gin to use 100 per cent Scottish juniper. When he started the classes Jonathan thought they would be an education experience. "I didn't realise how sociable it would be," he says. "About 95 per cent of people come as couples, some on dates, and they are usually from outside Glasgow and from overseas." People taking the classes seem to enjoy talking to each other about the distilling process and what botanicals to use. "But by the end of the class it becomes quite competitive," he says. "The only problem I have is getting people to leave." Wendy Frew travelled at her own expense.